on my work, but also a whole host of other discussions, games and friendly people. It’s the end of a difficult year in the life of Andrea Hallstrom, but if she thought things were going to be easy from now on, she’s in for more than one surprise. Picking up a few months after the end of Metamorphosis, Andrea and her partner Major Kate Jarvis face a whole new set of challenges as the Superhuman Research Unit becomes embroiled in a power struggle where not everyone is what they seem. Following the trail of a mysterious organisation responsible for mutant disappearances and experimentation, they are unaware the terrible truth lying in wait, ready to ambush them and stretch loyalties to the limit. Each woman must decide who they trust as the past comes back to haunt them both. in 12th century England. 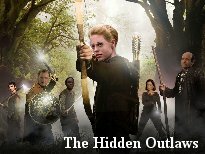 Her life is changed forever when she crosses paths with the mysterious outlaw Anne in the wilds of Sherwood Forest. Note that each chronicle is a self-contained story, but it will help if you read them in order as there is a certain amount of continuity and ongoing plots involved, especially in Chronicles 11-20. 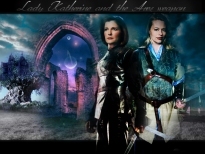 With huge thanks to KathieGOTaGUN for all the Lady Katherine pictures below. Can Katherine and Anne manage to carve out a relationship as conflicting demands press on them? The new arrival in Markham quickly makes their presence felt, making life difficult for Katherine and Anne. 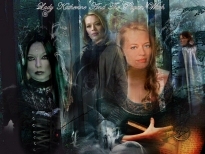 Katherine struggles to save Anne and stop the dark witch before all is lost to her evil plans! It's a new year, but the same old troubles for Katherine and Anne as they take a trip to Yorkshire to visit Katherine's sister. Katherine and Anne follow the trail left by the events in Yorkshire in the face of mounting obstacles. A visit to Katherine's ancestral home at Stratford yields more than a few surprises as Katherine must look to her past to continue her and Anne's quest. 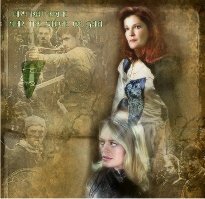 Katherine and Anne run into difficulties on their journey home from Stratford, finding themselves forced to participate in a bloodthirsty game. 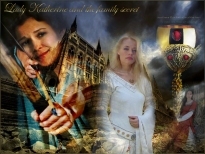 Churches become the target in Katherine and Anne's quest, but are the tables about to be turned on them? 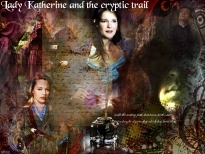 Katherine and Anne must use all their powers of persuasion to further their quest. 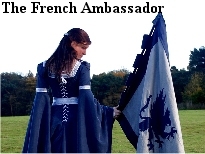 Not a shop or a movie, but a journey abroad as the quest nears its conclusion. Betrayal is never far away as the Ares objects are united at last. The weapon is unleashed at last - who controls it and who will be left standing? 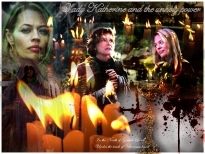 It's another new year with new roles for Katherine and Anne as they deal with the fallout from an attack on the estate. While preparations for the spring fair proceed, danger lurks round Markham Manor. Something strange is happening around the Markham estate at night. Thanks to KGG for the title and idea. Not everyone is celebrating as Markham prepares for a wedding. Katherine and Anne must track down a killer stalking the corridors of Stratford before they strike again. 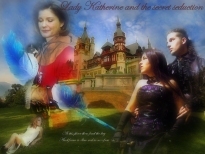 When Katherine starts behaving oddly, all is not as it seems. Betrayal hurts the most when it comes from those closest to us. 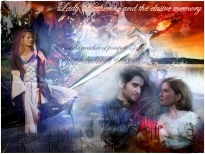 When all appears lost, can destiny be fulfilled and evil beaten? 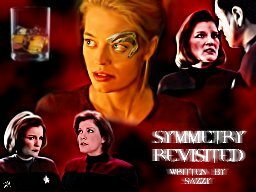 A sequel to the alternative universe story "Symmetry". 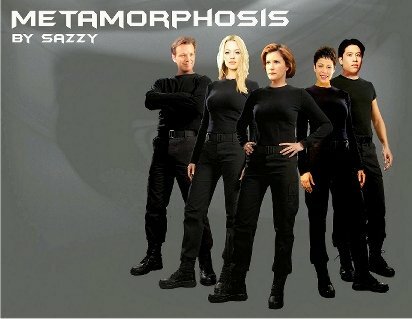 The alternative Janeway and Seven find their relationship tested by unexpected forces. One Admiral, one Borg, one pair of handcuffs...what could possibly go wrong? A post-endgame fic. 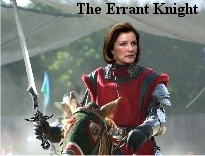 All is not as it seems at the house of Admiral Kathryn Janeway. An Alternative Universe story. 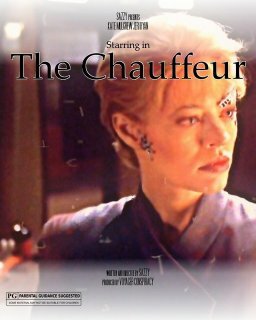 Bitter ex-Starfleet captain, Kathryn Janeway, meets a mysterious stranger by the name of Seven. It's not long before the sparks start to fly. "The Little Sidewalk Cafe In Buenos Aires"
A short post-endgame PWP piece. Janeway seeks solace in Argentina. 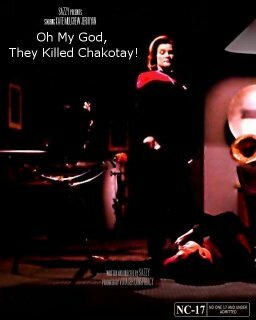 "Oh My God, They Killed Chakotay!" 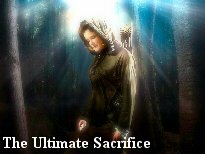 This was written for the JDI Challenge 2 and this picture. Janeway decides she needs to take some radical steps to extract Voyager from a temporal loop. This was written for the JDI Challenge. The topic given to me for my particular entry was: "From vis-à-vis and Bliss, we know that Seven has a tendency to view Janeway's personal logs. What does Seven learn?". The crew relax by playing a few games that get a bit out of hand, particularly for Janeway and Seven! This is mainly a bit of fun and fluff in a PWP style. Now in audio play form! A short PWP piece as Seven ponders how to let Chakotay know his attentions for the Captain are unwanted. 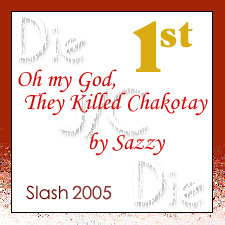 Written for the “Die J/C Die” contest. 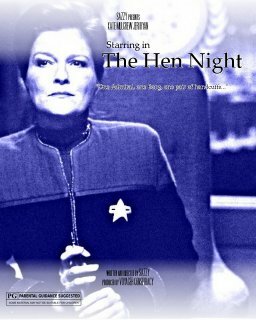 This is my first ever piece of fanfic, so please don't laugh :) In it Janeway gets an unexpected visitor on a cliff top that changes her profoundly. Will Seven or anyone notice before it's too late? These are a number of "missing scenes" that Raspy and I thought TPTB had cut from Voyager as shown because they were just too racy ;) N.b. these are all short and NC-17!